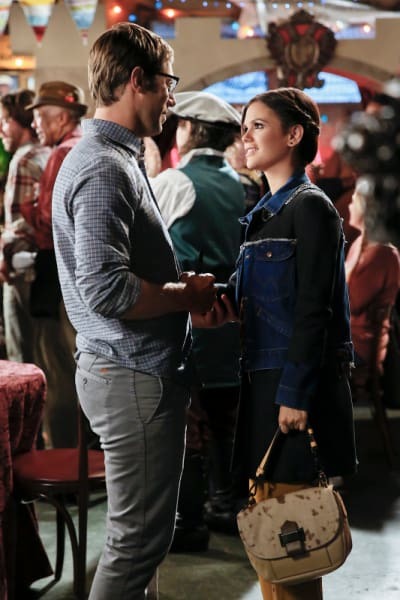 Hart of Dixie Season 3: Grade It! After a rocky finale in Hart of Dixie Season 2, I found it hard to believe in two things: that the show could recover from the blow it took. and that Wade Kinsella would redeem himself. Luckily, throughout Hart of Dixie Season 3, both took place, while the series finally got back to what made it so great in the first place. With new characters introduced, only to leave to so soon, and old friends returning to the great town of Bluebell, the season got better and better with each episode. Check out our report card below and be sure to grade it too! Best Episode: This is an easy one as the season finale, Hart of Dixie Season 3 Episode 22, was my favorite. Appropriately titled "Second Chance" it was all about Zoe and Wade realizing that they've always loved each other. During the entire season we had seen Zoe with Joel and Wade with Vivian, after they both had moved on from those breakups, there was finally a chance for 'Zade'. Admittedly, I have never been one to care too much about the Zoe and Wade relationship but by this point, I was rooting for them. Another great addition to this installment was that George finally admitted that he wanted to go after Lemon. Even though Lavon was there to try to win her over too, I'll go with George being the best man in that game. Also, after a few episode absence, Joel Stevens returned to convince Wade that he should be with Zoe. The episode was icing on the cake. Worst Episode: Definitely Hart of Dixie Season 3 Episode 7, because of three things: Lavon, Lynley, and Lynley and George. In a nuthsell, Lynley was by-far the worst thing that has happened to Hart of Dixie and I cheered when her character left. Not only was Lynley crazy, she was immature and George should have known better. End of story. Best Character: All hail Lemon Breeland! Ever since Hart of Dixie Season 1, I have said that Lemon would be the character to grow the most and we'd all love her. Of course, I was right. Though she took a notable absence from the show (due to Jaime King having a baby), she kept the flow of each episode. I truly believe that Lemon is at the core of Hart of Dixie. The show would tank with out her. Worst Character: Lynley, the niece of Mayer Hayes. From her very first appearance, I disliked her. The moment she laid eyes on George, I was done with her. I have nothing nice to say about her other than I am glad she is gone. Please, never come back. Best Character Development: Hands down, Wade Kinsella. As I have stated in the past, his character was tarnished in Hart of Dixie Season 2 when he "jumped the shark" and cheated on Zoe. At that point, I believed that Wade would never redeem himself and be good enough for Zoe. Thanks to Vivian Wilkes for making Wade good again. He's a grown man, running his Rammer Jammer, and making his own life. Welcome back Wade. Worst Character Development: Without a doubt, Lavon Hayes. I am so disappointed in him this season. I can understand Lavon breaking up with Annabeth because she isn't his true love and because she deserves to find someone who will love her the right way. I think that reason is honorable. What I cannot understand is acting like an entitled jealous ex-boyfreind when she finds someone else. Lavon had absolutely NO RIGHT acting the way he did towards AB. Now that he's acted this way, he doesn't deserve Lemon. He needs to grow up first. Not to mention, his ridiculous and immature ploys to get people to help him throw city gatherings and to avoid heat from Fillmore Mayor Gainey. It was all so ridiculous and I could not stand him. Oddest Relationship: I am going to with creepy Davis and sweet Annabeth. Their relationship is so.... Weird. Davis first approached Annabeth in a bar, dressed in a full knight suit, and bought her a drink without taking his helmet off. Then come to find out he had been faking an illness to see Annabeth at Dr. Breeland's office. Stalker much? My advice to Annabeth, run before you become victim #1 in the next season of Criminal Minds. Favorite Scene: After two and half seasons of Hart of Dixie, Zoe and Lemon finally become "girlfriends" in Hart of Dixie Season 3 Episode 18. It was such a glorious moment that had been over two years in the making. As much as neither of them wanted to confide in each other, they had no choice. The best part about it was that they were completely and brutally honest with each other. This was by-far my favorite scene of all of Hart of Dixie. The most note-worthy character: My beloved and adorable Joel Stevens. Joel didn't just mend Zoe's broken heart, he loved her like she deserved to be loved. Though his departure was inevitable, I was just as heartbroken as Zoe to see him go. He was quirky, nerdy, and allergic to everything under the sun but a lot of Dixie fans didn't like him and I didn't understand why. I still don't. Joel was just apart of Zoe's journey back to Wade. He even convinced Wade that he needed to stay in Bluebell and be with Zoe. I will love Joel forever. Good luck in Hollywood my love! Biggest surprise: I never thought that writers would surprise me but they did when they decided to put Lemon and George back together. I would have never thought about them being in a relationship again and I don't know why, it's perfect. These two have evolved so much since their dramatic break up in Hart of Dixie Season 1. My question is, why wouldn't they work? The chemistry is there and it's good. 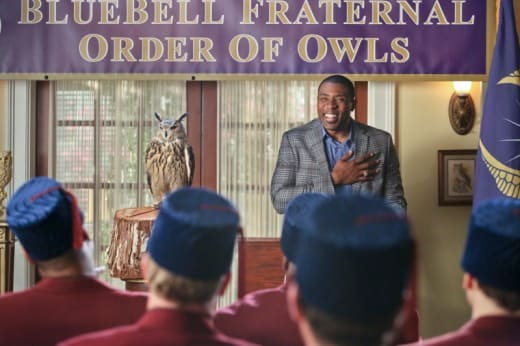 Hopes for Season 4: I hope that Bluebell gets a new Mayor, to shake things up a bit. I want Lavon to be able to regain his greatness. I would love nothing more than to see George and Lemon get back together or just more Lemon. Also, more Rose and Magnolia. They both were missed greatly this season. Of course, I would love to see Zoe and Wade get back together, that's been the center of Hart of Dixie since the very beginning. Now it's your turn, how would you grade Hart of Dixie Season 3?